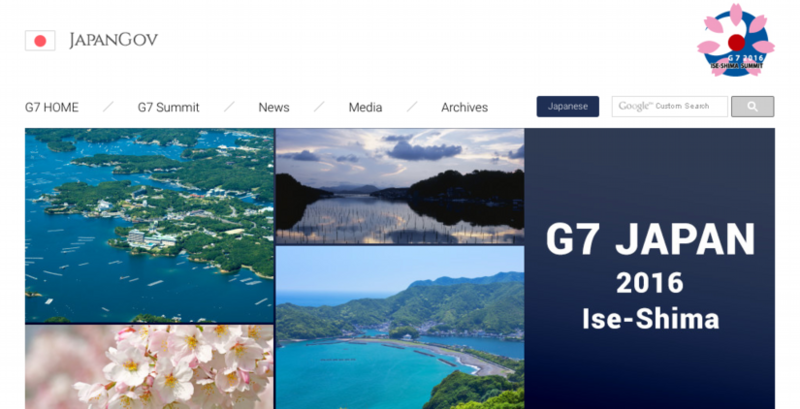 The Boston Global Forum welcomes this opportunity to provide input to the agenda for the G7 Ise-Shima Summit. Global Economy and Trade, Development, and Quality Infrastructure Investment are three themes of this summit. Given the importance of the Internet in all three areas, we encourage you to address the following actions concerning cybersecurity at the summit. These actions have as their goal to raise the general level of security in cyberspace. College), and Thomas Patterson (Harvard University). 1. Encourage the global adoption of the 2015 G20 cybersecurity norms, which include the 2015 GGE norms by reference, as the Ise-Shima Norms. 2. Endorse private and public efforts to improve ethical Internet behavior. The UCLA Global Citizenship Education Program and the Boston Global Forum’s Ethical Code of Conduct for Cyber Peace and Security are two such examples. 3. Engage vendors of cyberspace technology in the discussion of norms for responsible state behavior. 4. Establish domestic and international centers and mechanisms designed to reduce the risk of cyber conflict. 5. Encourage national cybersecurity experts to voluntarily publicize their best security practices. 6. Recognize that formulation of policy concerning cyberspace technologies requires the participation, on an equal footing, of respected academics and industry experts on the technologies in question. These proposals stem from several developments. First, over the last five years, small groups of governments have formulated international norms of state behavior, particularly for peacetime use. Negotiations have been held at the UN and many other forums. Now that a set of reasonable norms have been established it is appropriate to reach out to nations that have not participated in these discussions and encourage them to endorse them as well. In many cases, this will require some capacity development, which is encouraged by UN Resolution 70/237. The G7 nations can help increase confidence in computers and network technology by leading this effort, which could be called the Ise-Shima Challenge. Second, global citizenship education has an important a role to play in building a sustainable peace and security in cyberspace. We encourage a significant effort in this regard. Third, we observe that the success of many computer vendors requires that their customers have confidence in their products, which is undermined by unreported cyber vulnerabilities and by state launched weapons that result in mass events. Thus, some vendors, notably, Microsoft, have begun to formulate and promulgate norms of state behavior that are important from their point of view. States should take these nascent efforts seriously and engage these firms in norms formulation. Fourth, given the large number of states that are developing cyber weapons, the risk of accidental or intentional cyber conflict is rising. All states should recognize this risk and work to mitigate it. Centers designed to reduce the risk of cyber conflict are needed in every country with offensive cyber capability. Operators in these centers must come to know each other so that they can properly assess national intentions during a cyber crisis. This issue has been highlighted in the latest 2015 GGE report. The fifth recommendation on best practices is illustrated by a public talk given in January 2016 by Rob Joyce, head of NSA’s Tailored Access Operations Department. He offered advice on cybersecurity measures to protect a computing facility from the type of penetration in which his department engages. This event was a remarkable example of the security services of a major nation, the US, offering constructive advice to others. Each G7 nation could assume the same responsibility for improving the security of cyberspace by offering such examples of best practices. Finally, policy formulation concerning cyberspace can be very challenging. Unless technology experts are at the table with policymakers when such policy is formulated, errors are easily made that may lead to poorly formulated international norms or domestic legislation. Thus, it is essential that academic and technology experts be engaged and treated as co-equals with policymakers during this process. The appendices that follow provide specific recommendations that have been developed by a variety of parties and are aligned with the above objectives. The G7 nations should promote the development of social, legal and technological norms and agreements that will protect the information and communications infrastructures of the world’s nations and their people. In doing so, these norms will promote the abilities of these technologies to fulfill their promise to enhance the lives of all. These actions follow successful precedents in many areas where international, national and private efforts have worked together to enable the world to realize the benefits of new technologies in order to maximize their benefit to all and to mitigate differences between nations and peoples. I. The G7 nations should encourage adoption of norms set forth by the G20, the United Nations’ Group of Government Experts (GGE), and the Boston Global Forum’s Ethics Code of Conduct for Cybersecurity (ECCC). ·Nation-state conduct in cyber space should conform to international law and the UN charter. ·No country should conduct or support cyber-enabled intellectual property theft for commercial purposes. ·No country should intentionally damage the critical infrastructure of another state or impair infrastructure that serves the public and would undermine the human rights guaranteed by the U.N. Declaration. ·No country should act to impede the response of Computer Security Incident Response Teams (CSIRTs) to cyber incidents, nor should CSIRTs be used to create cyber incidents. ·Countries should cooperate with requests from other nations to investigate cybercrimes and mitigate malicious activity emanating from their territory. ·Countries should not establish or support policies or actions harmful to cyberspace. ·Countries should not engage in the unlawful taking of the assets or confidential information of private individuals or organizations. ·Nations should not use cyberspace to wrongly damage the reputation of other nations, organizations, or individuals. 1. Countries should not target information and communications technology (ICT) companies to insert vulnerabilities (backdoors) or take action that would undermine public trust in products and services. 2. Countries should have a clear principle-based policy for handling product and service vulnerabilities that reflects a strong mandate to report them to vendors rather than stockpiling, buying, or selling them. 3. Countries should exercise restraint in developing cyber weapons and should ensure that any which are developed are limited, precise, and not reusable. 4. Countries should commit to nonproliferation activities related to cyber weapons. 5. Countries should limit their engagement in cyber offensive operations to avoid creating a mass event. 6. Countries should assist private sector efforts to detect, contain, respond to, and recover from events in cyberspace. III. The G7 nations should develop cyber risk reduction measures. 1. Create domestic threat reductions centers equipped with secure communications with other such national centers to mitigate risks before, during and after cyber-incidents. 2. Assess and improve the cyber security of national critical infrastructures. 3. Take steps to reduce the number of domestic compromised computers, particularly those that have been marshalled into botnets. 4. Improve domestic cybersecurity through advisory and legislative measures. IV. The G7 nations should promote the development, identification, sharing and adoption of “best practices” in the cybersecurity area. V. The G7 nations should support cyber security capacity building in developing countries. 1. Investments should be made in developing countries to secure their infrastructures as this is essential to securing the connected global infrastructure and preventing a widening gap in the capabilities of nations. In the interconnected world, these investments are essential to reducing costs resulting from cyber-crime and espionage and to increasing the confidence and trust of businesses to operate in developing countries. 2. Investments should be made and cooperation undertaken between developed and developing countries to re-envision methods of education and learning, utilizing the global information and telecommunication infrastructure to enhance the accessibility of suitable educational opportunities for people everywhere. The 2015 UN GGE committee consisted of experts from 20 representing Belarus, Brazil, China, Columbia, Egypt, Estonia, France, Germany, Ghana, Israel, Japan, Kenya, Malaysia, Mexico, Pakistan, the Republic of Korea, the Russian Federation, Spain, the United Kingdom of Great Britain and Northern Ireland, and the United States of America. The two G7 countries not represented are Canada and Italy. * Retrieved from http://www.un.org/ga/search/view_doc.asp?symbol=A/70/174 on May 7, 2016.
k) States should not conduct or knowingly support activity to harm the information systems of the authorized emergency response teams (sometimes known as computer emergency response teams or cybersecurity incident response teams) of another State. A State should not use authorized emergency response teams to engage in malicious international activity. “A26. We are living in an age of Internet economy that brings both opportunities and challenges to global growth. We acknowledge that threats to the security of and in the use of ICTs, risk undermining our collective ability to use the Internet to bolster economic growth and development around the world. 1. We commit ourselves to bridge the digital divide. In the ICT environment, just as elsewhere, states have a special responsibility to promote security, stability, and economic ties with other nations. 2. In support of that objective, we affirm that no country should conduct or support ICT-enabled theft of intellectual property, including trade secrets or other confidential business information, with the intent of providing competitive advantages to companies or commercial sectors. †G20 Members: Argentina, Australia, Brazil, Canada, China, France, Germany, India, Indonesia, Italy, Japan, Korea, Mexico, Russia, Saudi Arabia, South Africa, Turkey, United Kingdom, United States, and European Union. All G7 member states are members of the G20. Their names are in boldface. * Retrieved from http://www.gpfi.org/sites/default/files/documents/G20- Antalya-Leaders-Summit-Communiqu–.pdf May 7, 2016. † UN resolution A/C.1/70/L.45 incorporates the GGE Norms by reference. The 2015 G20 norms are stated in paragraph 26 of “G20 Leaders’ Communiqué, Antalya Summit 2015”, November 15-16, 2015. Accessed 5/7/2016 at http://www.gpfi.org/publications/g20-leaders-communiqu-antalya-summit-2015.